ModeliciousBites : blogger of the week. I'm so obsessed with these velvet ankle boots of Thakoon Panichgul..So i now pronounce you the blog of this week Song of Style just because she is wearing them in the most *elegant* way. Ioanna 13 Δεκεμβρίου 2011 - 1:25 μ.μ. 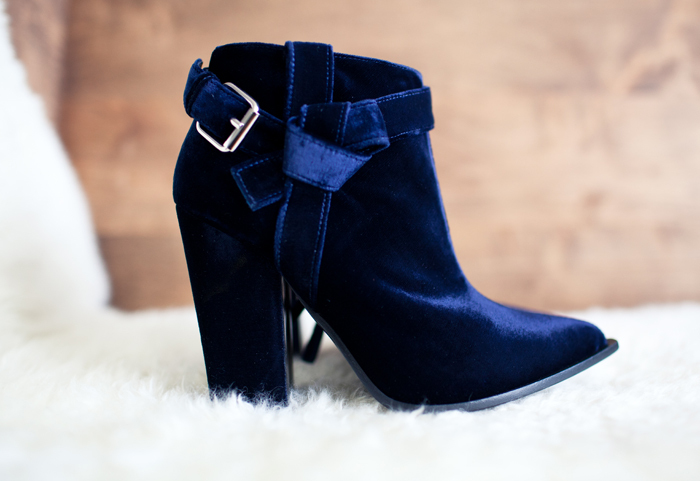 I have a huge crush on these booties as well!!! Love the way she is wearing them as well!! !